For all those people that do not want to take any risks when it comes to entertaining their guests you should consider a professional DJ. It is advisable to book a reputed company that delivers exceptional service, as you should never compromise when hiring a DJ for your event. If you are wondering whether or not to invest in a professional service offered by a quality DJ, you need to understand that an experienced DJ will ensure that your party is enjoyable and memorable for all of the right reasons! Many people fail to realise that not all DJs are the same, some will have the necessary skills to entertain guests whereas others won’t. Unfortunately, there are people that have made the mistake of hiring the wrong DJ for their party and been left disappointed with the service that they have received. In order to avoid unpleasant situations and ensure that your guests have a really good time at your party it is best to opt for a professional DJ. Experienced DJs have the knowledge and expertise to work the room and play the right mix of music so that everyone enjoys themselves. Whilst a professional DJ with the necessary equipment is going to be more expensive than an amateur their services will certainly be worth the additional investment. Choosing the right DJ is a time consuming exercise as there are many different things that you need to consider. Experienced DJs know what they are doing, they specialise in entertaining and will offer you information about their cost and also provide you with testimonials from other customers. With a little research, you will be able to find a professional DJ that will meet your personal requirements. An experienced DJ will know how to bring your party alive and how to create a real buzz for you and your guests. It is important to understand that a DJ is so much more than someone playing a predetermined playlist, they are responsible for keeping the party going and entertaining from start to finish. Although it is understandable that you may want to pay as little as possible for a DJ, price alone is more than likely the worst way for you to choose your entertainment. Obviously prices are going to vary and it is tempting to go with the cheapest. There is a reason why some DJs cost more, the more experienced DJs have taken time to develop their skills and build a good reputation. 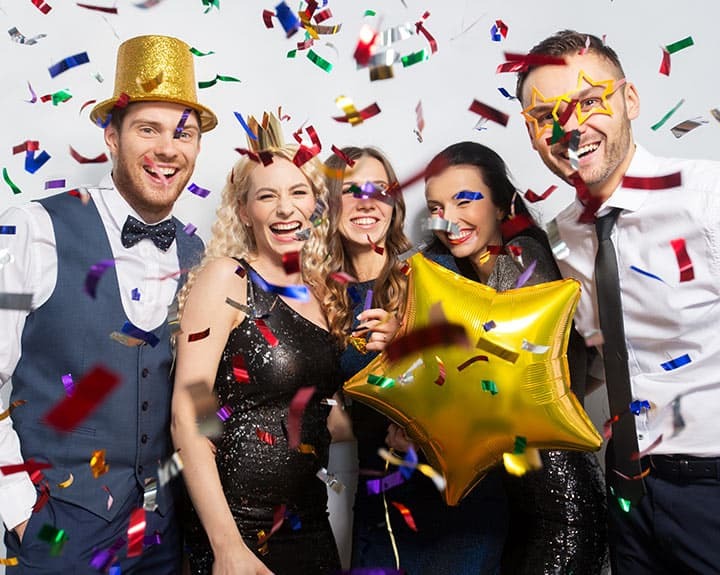 What Are You Looking For At Your Party? Let the DJ know what you are expecting. Find out whether they will get involved with the guests, make any announcements you may require and also work alongside other suppliers such as caterers or a photographer. The most important thing you need to ask is what experience they have with your type of party. If you are planning a wedding, school event or company party it is normal to expect an experienced DJ to have performed at similar events. During your initial conversation you should be able to establish quite quickly whether the company you are talking to will be willing to work for you and with you. You should feel confident that they will make things happen and assist you to make the decisions to make sure that the event is special rather than just a meal and dance. It is important that you are fully aware of what you are going to get for your money. It is fair to say if you hire a friend you will get what you pay for and this will more than likely be a home stereo sound, a limited selection of music and lack of experience, in essence a manned jukebox, whereas a professional DJ will have a wide selection of music and also equipment to provide quality sound and lighting which only add to the overall ambience. 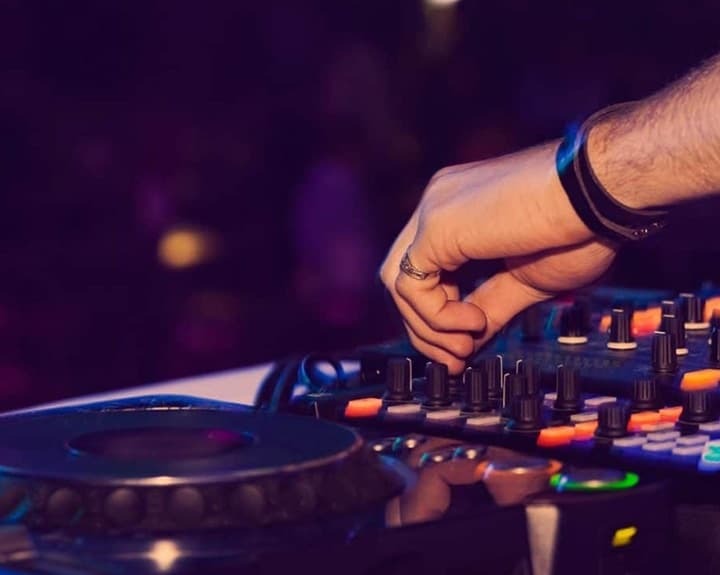 A professional DJ will take requests from your guests and work them into their routine, it is understandable that they will not be able to play every single request, some may not be right for the party mood. A good DJ will blend song requests with songs that they believe will motivate the guests. The real art of being a great DJ is timing and this only comes with experience. Ask the DJ their stance on requests in your initial conversation so that you can make an informed decision about whether the DJ is the right one for you. 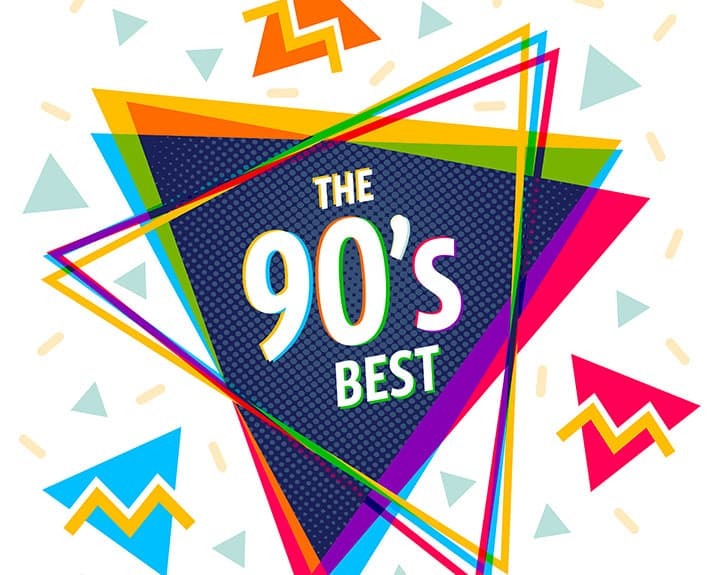 It is a known fact in the entertainment industry that a majority of DJs will boast about the vast collection of songs they have, and although variety is great the fact is that they will get to play around 70 songs in a four-hour period. It is therefore far more important that the DJ knows the right songs that you want to hear rather than twenty thousand that you or your guests do not want to hear! You need to feel confident that the DJ you choose understands your music tastes and that they have the necessary experience to choose the right selection. Why Choose Professionalism & Reliability? There are no second chances when it comes to your event, this means that you cannot only be concerned with the actual DJ. It is important to ascertain that the DJs equipment is of a professional quality and standard. Choosing a professional DJ service from a company that offers various DJs can provide a sense of security. However, it is important to ask about the “what ifs” because the unexpected can happen to anyone at any time, and it is important that you know exactly how the company or individual will deal with these situations. What happens if the DJ is sick or unable to attend? What happens if there is equipment failure? Does the company have back up equipment? Finally, you should insist that there is a written contract that clearly states the services that are to be provided including times, location, costs and any other logistics that are important for you to have clarified. Booking a professional DJ doesn’t mean a boring DJ, on the contrary the more experienced and professional the more fun and best at entertaining and motivating the crowd the DJ is likely to be. At the end of the day it comes down to the well-known saying that “You get what you pay for.” The only difference between a budget DJ and a quality DJ is the professionalism of the DJ and their involvement in your party. You call the shots and make sure that the DJ is willing to do their upmost to turn your dreams into reality and whilst you will pay a little extra for professionals you are sure to have a worry free party as the entertainment is concerned.